Stir in cranberries. Heat to boiling over medium heat, stirring occasionally. Continue boiling about 5 minutes longer, stirring occasionally, until cranberries begin to pop. Pour sauce into bowl or container. Refrigerate about 3 hours or until chilled. Wave goodbye to canned cranberry jelly. This scratch-made version is hardly any harder than opening a can, seriously! With three ingredients and a pot of boiling water, you’re on your way to mastering this holiday classic. The only real trick to making perfect cranberry sauce is to use your ears. When the cranberries begin popping, you’re on your way. Remove the pan from the stove when the cranberries appear to have broken down, and your sauce has thickened. Cranberry sauce needs three hours to set up in the fridge, but you can also make your sauce the day ahead to save stress on Thanksgiving. Not that you have to limit yourself to eating fall’s favorite fruit only on Thanksgiving. We certainly don’t! Check out the rest of our cranberry recipes for proof. 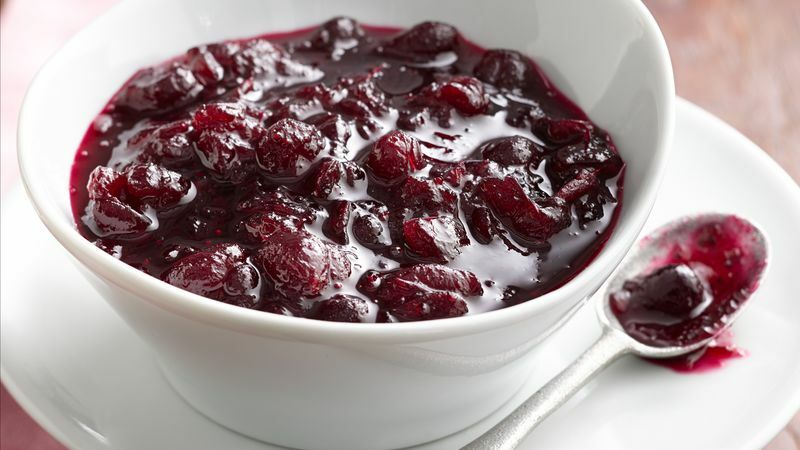 And if you’re still a bit apprehensive about taking on such an iconic holiday dish, have a look at our tutorial on how to make cranberry sauce.